A College of the Mainland math program aimed at helping underprepared students which has seen great success received distinguished recognition at a recent statewide conference. 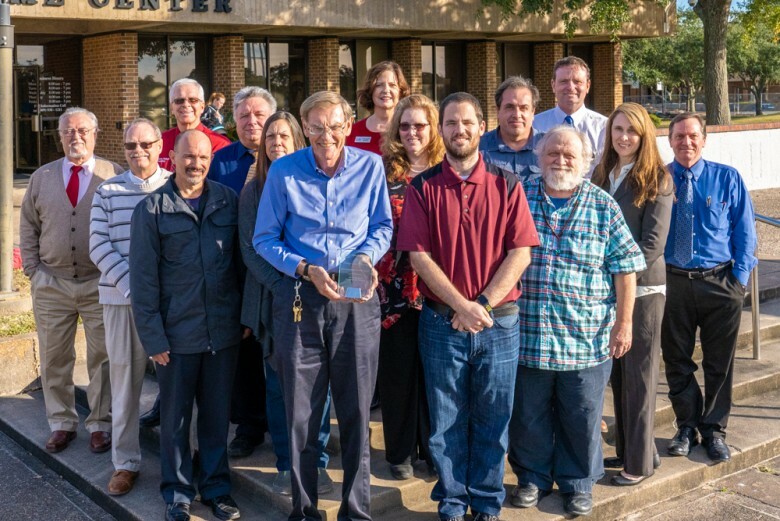 COM was recognized in the 2018 Math Pathways Awards from a competitive field of 38 other Texas community colleges by the Texas Association of Community Colleges, the Texas Success Center and the Dana Center Mathematics Pathways during the 2018 Texas Pathways Institute in Dallas on Nov. 14. COM was chosen to receive the exemplary award based on the college’s exceptional efforts in developing math pathways. Under Guided Pathways, underprepared students take a developmental course and the college credit course in the same subject at the same time with the developmental course serving as a tutor for the college credit course. COM was the first college or university in Texas to fully implement this corequisite method in Fall 2017. Implementing the corequisite courses in math and English was one of the first course of action taken when Dr. Warren Nichols became president of College of the Mainland in February 2017. This was done even after the Fall 2017 course schedule already had been completed. In the 2017-18 academic year, success rates in College Algebra jumped from 17 percent in the traditional model to 44 percent in the corequisite model. In Quantitative Reasoning or Elementary Statistics courses, the success rate increased ten-fold, jumping from a paltry four percent in the traditional model to 40 percent in the co-requisite model. According to the Dana Center Mathematics Pathways, math pathways are a rapidly-growing national movement in colleges and universities to align math courses more closely to students’ intended major and career interests. Research strongly indicates that misaligned and lengthy math course sequences are a leading barrier to students completing college and beginning their careers as prepared workers. Other Texas community colleges recognized for the math guided pathways were Paris Junior College, Grayson College, San Jacinto College and McLennan Community College.